This, however, contradicts earlier reports as the family said they had visited the mortuary but did not found the body. 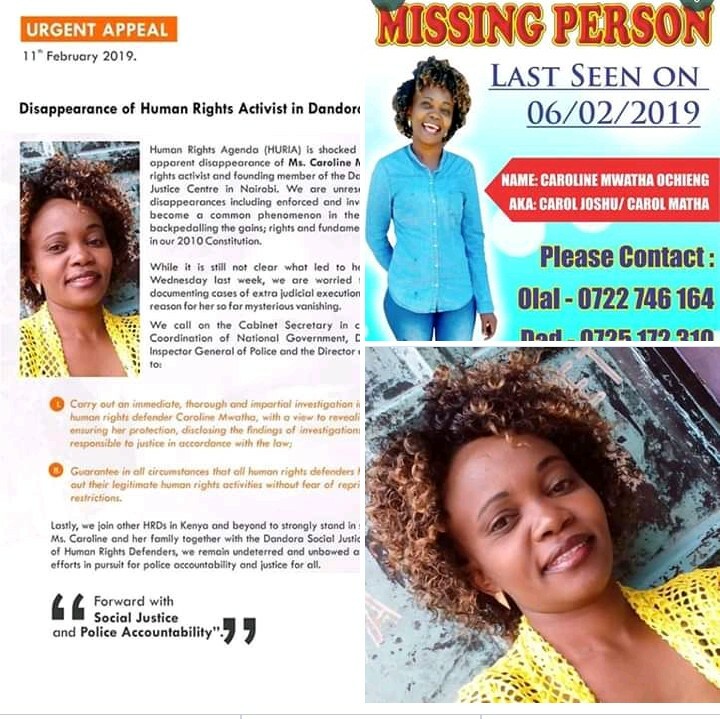 Police Spokesman Charles Owino told that the Directorate of Criminal Investigations is finalizing investigations before the two are charged over the death. The mother of two was last seen on February 6 walking alone to her house. Police will now focus on establishing how Mwatha met her death.